You will find a wide variety of apartments in Milton Keynes that are simply ideal for providing you with temporary accommodation while you relocate to the area. It goes without saying that Milton Keynes is a sought after area and it is no wonder you have chosen to move to such a great city. Milton Keynes certainly does have it all and more to offer, especially for those who are looking to live outside of London, but close enough for a convenient commute. With modern buildings, litter-free streets, some of the best transport links in the country and being just 45 minutes from central London, who wouldn’t want to relocate to Milton Keynes? Make sure the apartment is fully and comfortably furnished with a bright and modern atmosphere. The last thing you want to do is arrive and discover that half of the furniture or appliances aren’t included in the rental. Ask for a checklist of exactly what is included in your serviced apartment rental. Ensure all extras are included in the rental rate such as apartment servicing, utilities and so on. Serviced apartments should include various conveniences such as laundry, maid service and similar. When looking around for temporary accommodation in Milton Keynes you might be tempted to look for hotels. Of course you will want to have all the comforts of home and this is achievable by finding serviced apartments to rent. 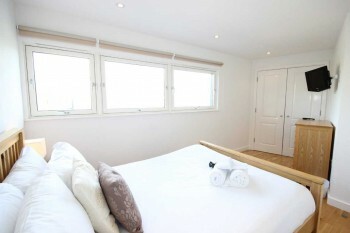 When looking for apartments in Milton Keynes that offer temporary accommodation, take the time to browse through the options we have available at Cotels. Our apartments are fully furnished and equipped, as well as serviced, for your convenience and comfort. What’s more, we have won the Best Serviced Apartment Award for two consecutive years from Food & Leisure Awards. 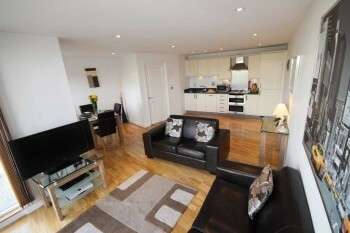 To learn more about our serviced apartments in Milton Keynes, take the time to contact us at Cotels today.